Have a craving for something sweet? There is a new treat in town! 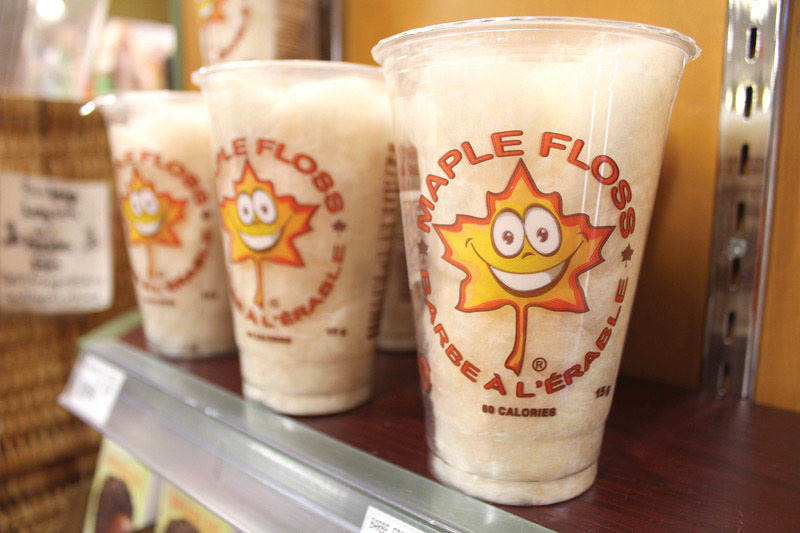 Produced by Souria, an Aylmer-based company, Maple Floss is the product of a long term pursuit of a healthy alternative to your classic cotton candy. It was the brain-child of video producer and photographer Éric Filiatraut, who joined forces with business partners Martin Dussereault and Patrick Poliquin to experiment with the healthiest ingredients. After many attempts to find the perfect replacement for the refined sugar used to make cotton candy, maple syrup was found to be the most effective sweetener for the recipe. "It is made of 100% maple syrup, containing many antioxidants, and is absolutely 100% free of allergens," said Martin Dussereault. After developing the final product in April 2012, the three business partners introduced their new candy the following June here in Aylmer at the Outaouais en Fête celebrations. Two years later, "Maple Floss" was made available for purchase in September 2014 at Sol Natural Foods in Aylmer. Ever since, business has been booming and demand has been growing. "The response is incredible," Mr Dusserault told The Bulletin. "I hear things like "This is the best thing I've ever tasted! And it is a way for parents to offer a treat to their children without the guilt!" They have been distributing their creation to more locations, including La Boîte à Grains, Maison Bisson and La Trappe à Fromage.